This week the entire country decends upon Sacramento, CA for the 2018 Unified Wine and Grape Symposium. This is, by far, the largest wine focused trade show in the US. All the suppliers for anything having to do with grapes or wine are in attendance and one can easily just attend the exhibit halls and not see the entire show space. I like to attend the talks though. It starts on Tuesday with the Keynote luncheon. These talks are separate from the show itself which starts Wednesday but it never fails to be inspiring and full of good information. Tomorrow’s speaker is Gina Gallo of the winemaking giant Gallo. Gina is known to have been one of the driving forces behind repositioning the company towards higher end wines so her insight into the industry I’m sure will be interesting. After last year’s luncheon with wine writer Eric Asimov, I walked away with close to 10 pages of notes. To save my hand, I’ve brought my SurfacePro this year and fully anticipate getting some good information again. Another one of my favorite highlights is the “State of the Industry” talk which kicks off the main part of the symposium on Wednesday morning. Having any one of the speakers present their information to you would cost you well beyond the price of an admission ticket but the panel of people that they assemble for this gives a very detailed look at the state of the industry in California. Although global issues are touched on it is a CA driven talk but there are always good parallels to be gleaned. Since CA makes up 90% of the wine industry in this country, knowing where CA is going gives good insight into where the market is going. The rest of the day is split into “tracks” with multiple sessions being held at the same time for viticulture, winemaking, and marketing. It never fails that I end up wanting to go to two or three talks the happen at the same time and need to make a game day decision. Thursday tends to be a lighter talk day with less in depth subjects so that usually ends up being my trade show day. You MUST go to the trade show with a plan. Inevitably, one will run into a bunch of friends and colleagues and it will take three times as long as you expect to cruise down each aisle as you find people to catch up with you haven’t seen in years. The social aspect of the show cannot be discounted either. Planning one’s dinner and after party schedule is almost as hectic as planning what you want to see at the show itself. The bars at the two main hotels, The Sheraton Grand and the Hyatt Regency, are guaranteed hang out spots for after late night activities. I have often wondered if they prepare for this week like generals preparing for battle. Getting a room at one of these hotels is a feat in itself since they are snapped up within seconds of being released. I felt it was a major accomplishment to have gotten a room at the Hyatt for this year’s show. I’ve never been on top of it enough to have booked one of these rooms before without being a speaker. However you look at it, Unified is one of the key meeting of the minds of the US wine industry. Regardless of your geographic location, there is a wealth of information here for anyone who wants it. It feels in some ways that this has been a super long harvest and in others it fells so short. We had the rain on and off for the week in early October but since then the weather has been beautiful. Riesling has been very strange this year. There was a large crop and that led to many vineyards stalling out in the mid-teens for Brix and moving very slowly. The best growers as always managed to produce beautiful fruit regardless. The barrel fermented Blaufrankisch is settled into barrels (for aging this time) and going through ML. It looks very promising. We finally picked our Riesling for 240 Days last week and it is getting ready to go through primary fermentation. The 240 Days Rose looks and smells like pink Sauvignon Blanc which is super interesting and delicious. It just finished fermentation and will get sulfur this week. 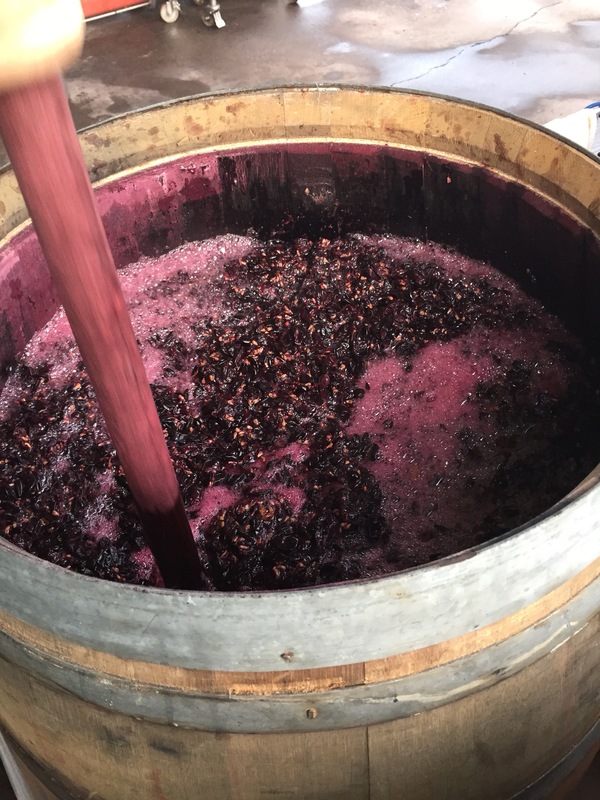 Also on my list soon is getting the 2016 Cabernet Franc out of barrels and blended. I know the snow is coming soon and with it a slow down in my travels but greater focus on what is happening in the winery. 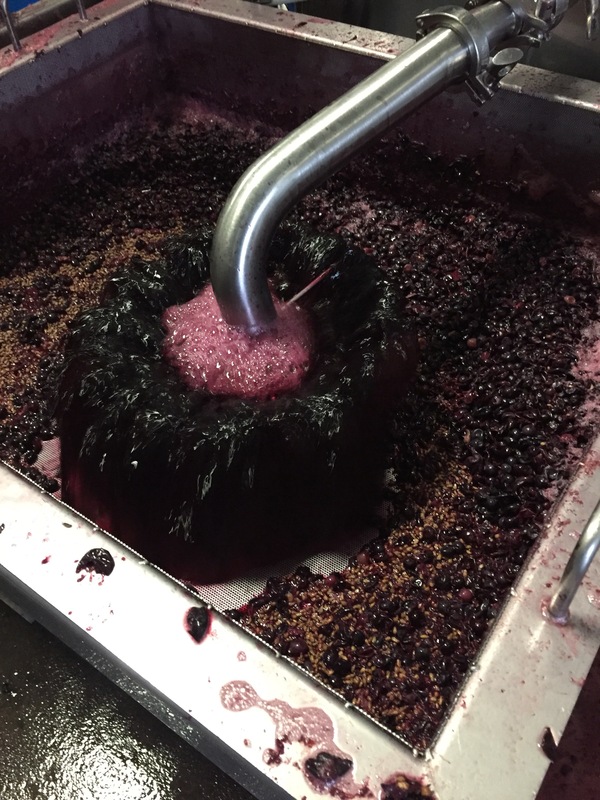 The start of the 240 Days of winemaking is upon us! As a side note, I’m excited to announce my blog has been named one of the top 100 wine blogs on Feedspot, was listed as one of the top 10 wine blogs on 10Greatest.com, and I did a quick interview with the WSET out of London. Find that full article here. All in all it’s been a great week! 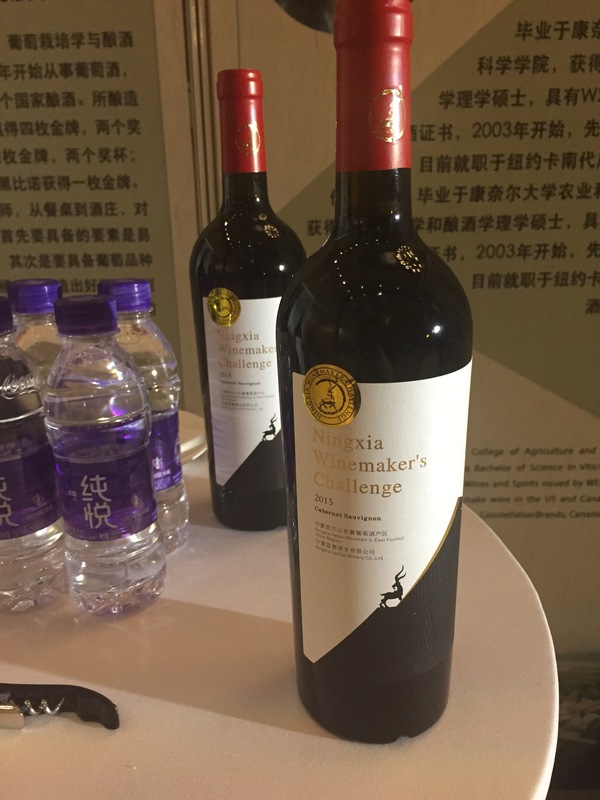 I have just returned from the last trip to China as part of the second Ningxia Winemakers’ Challenge. This final trip was so much fun because we were able to finally meet up with the other winemaker contestants, most of whom I had not seen since the first trip in September of 2015. 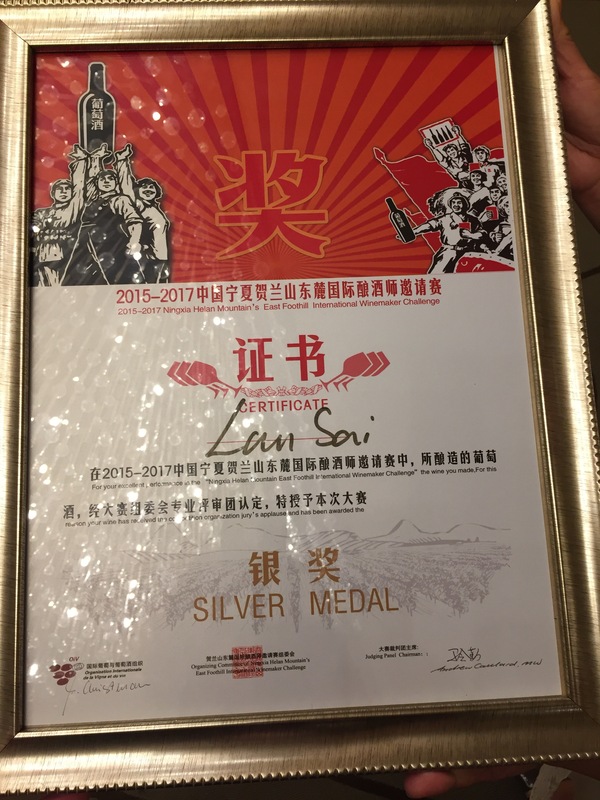 We spent a few days in Yinchuan, attending government events and the annual Wine Expo. After that, we all flew to Beijing for the final judging and awards ceremony. Going into the judging, I was happy with my wine. It reflected the challenging aspect of the competition but also was a testament to perseverance that was needed to adapt to the “challenge” aspects. These included a total language barrier, limited time (in my case) to attend to the wine, non-standard vineyard practices, as well as social and cultural isolation particularly during the first few weeks during harvest. 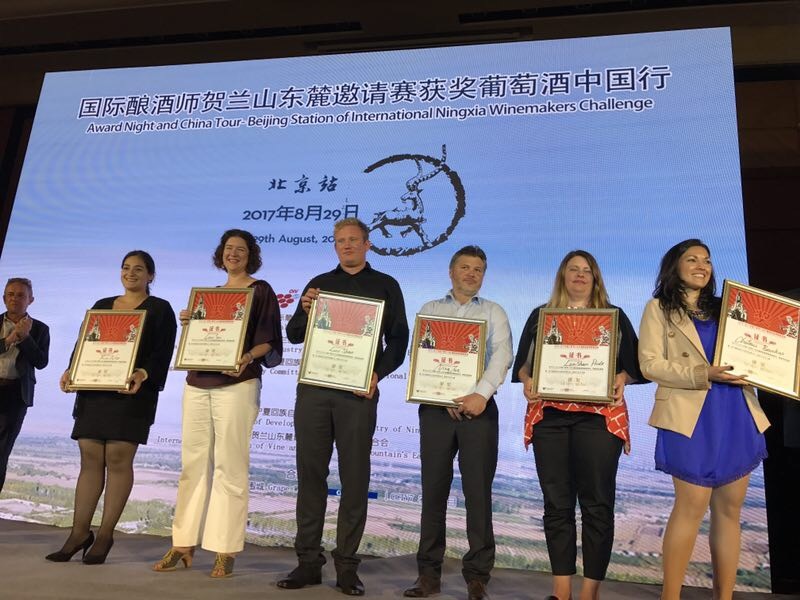 The 10 judges were all professionals, led by China Agricultural University professor Ma Huiqin and Master of Wine Andrew Caillard. They announced the silver medal winners first and I was surprised to hear Lansai called first! I was so excited to have won a medal for this even after all the hard work and dedication of both myself and the winery team. There were 10 total silver medals awarded with many of my favorite people joining me on the stage. After another course of dinner, we finally learned the gold medal winners. They were Justin Corrans of South Africa, Tony Kalleske of Australia, Brent Trela, a fellow American, Slavina Stefanova of Sweden, and Sarah Williams of the UK. Each and everyone of these amazing people were a pleasure to get to know and totally deserving of the highest honors. I was so excited for everyone and there was lots of hugging and congratulations all around. We finished out the night at the hotel bar catching up and reminiscing over our time in Ningxia. 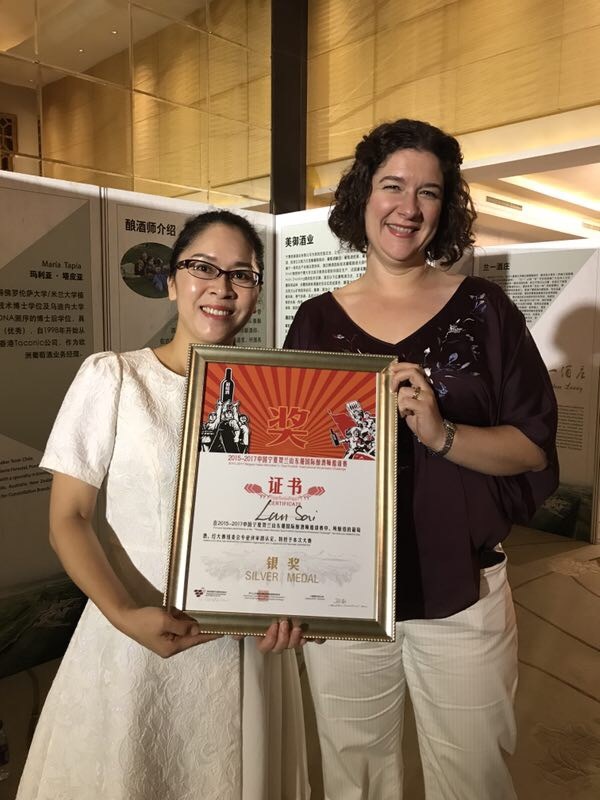 On Wednesday, many winemakers traveled to other cities within China for the competition road show while I spent a few leisure hours in Beijing with my winery owner, Ms Zheng prior to boarding my flight home. We are in harvest already and I didn’t want to miss too much of it. See the full coverage and complete list of judges and all the winners here.